Planning a funeral can be stressful with the loss of your loved one. At McNeil's Funeral Service, our funeral directors can assist you in all aspects of the funeral services with compassion. We are committed to providing personalized services and honoring the memory of your loved one in the best possible way. When you are in need of funeral home services, you can rely on us. 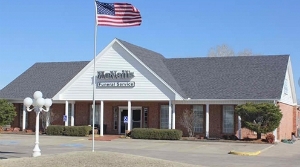 McNeil's Funeral Service is always ready to assist you in your time of need. Our caring staff helps lighten your burden and support you through your difficult times. Call us at (405) 256-4560. Copyright © 2018 mcneilsfuneral.net All rights reserved.